More and more people are turning to dietary and lifestyle changes to address all kind of digestion issues including GERD and LPR. With an increasing amount of evidence that there may be risks associated with pharmacological remedies, and also some indications that they might not be effective anyway, it’s no surprise that diet has come into the spotlight for sufferers of laryngopharyngeal reflux. Some dietary recommendations for addressing LPR and GERD aren’t surprising, as they fall under the umbrella of generally sensible ways to address digestion issues. Avoiding processed foods and excessive alcohol for instance all seem like suggestions that are embraced both by conventional wisdom as well as the authorities in the space. However, one area that seems quite contentious is the appropriate level of fat consumption. Any discussion of fat consumption in the context of LPR needs to start with an acknowledgement of its divisive nature in health and wellness overall. For a good portion of the 20th century, fat, and particularly saturated fat, was viewed as a problematic type of food and was considered to be the cause of many different types of disease, most notably heart disease. This perspective was probably popularised because of the work of Ancel Keys, whose perspectives on saturated fat were ultimately adopted by the American Heart Association and became part of the generally accepted dietary recommendations the world over. More recently, warnings of the dangers of fat intake have come under scrutiny and today, there are many advocates of a high fat diet, with some even recommendation a high intake of saturated fat. The Paleo movement, first popularised by Loren Cordain, most notably advocates the consumption of animal protein and fat. Today, you’ll find many more advocates of high fat, low carbohydrate diets, though there are still those who suggest avoiding the consumption of saturated and animal fats specifically. 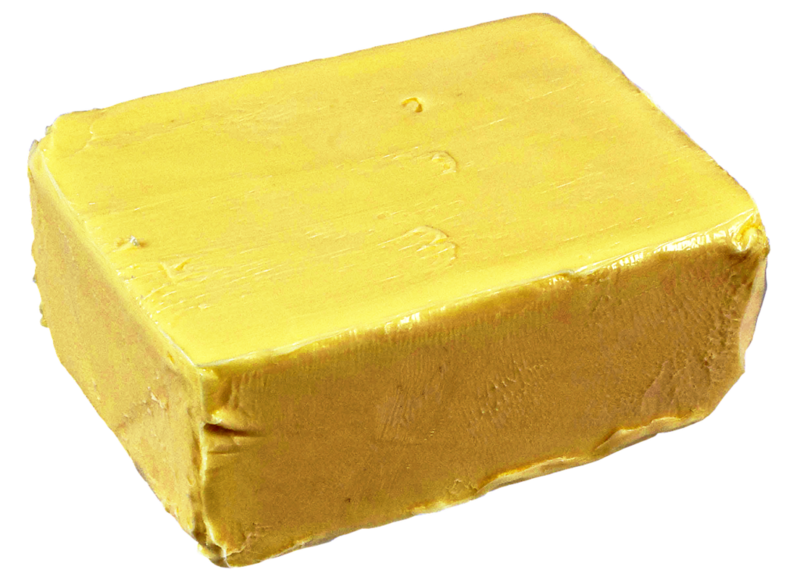 While trying to point to a definitive answer on the general health effects of saturated and animal fats is beyond the scope of this article, suffice it to say that it’s not a cut and dry issue. However, it does seem that the link between saturated fat and disease is more tenuous than previously thought. Fats are primarily digested in the small intestine and rely on a combination of the enzyme lipase and bile from the liver for successful digestion. While the mechanisms are complex, it’s worth noting that they are different to those mechanisms that help digest carbohydrates and proteins, which involve different enzymes, hydrochloric acid (stomach acid), and in the case of protein, pepsin. It’s also important to note that fat digests more slowly than the other macronutrients, at least in part because it is found to slow the speed of gastric emptying (the speed at which food leaves your stomach). One of the most common conventional dietary recommendations for any type of reflux (and particularly the traditional heartburn type) is to avoid fatty foods. Anyone who has suffered from reflux has heard this recommendation at some point. This recommendation has received some support from Jamie Koufman, one of the world’s most visible authorities on the topic of reflux. It’s worth mentioning that Dr. Koufman also played a role in identifying LPR as a distinct condition, though she seems to refer to it more often as ‘airway reflux’. Dr. Koufman espouses the benefits of a “low fat, not no fat” diet for LPR. In this video, you can hear her briefly describe her recommended reflux detox, which is noticeably low on animal fat. On the other side of the fence, you’ll find another reflux diet authority – Dr. Norman Robillard of the Digestive Health Institute. Dr. Robillard’s dietary recommendations are significantly different. He advocates a fairly high fat diet, as the best approach to reducing the symptoms of reflux and even LPR. He blames reflux on carbohydrate malabsorption and recommends reducing consumption of specific types of carbohydrates to address symptoms. When you try to reduce carbohydrates, it’s inevitable that the gap must be filled by something else, and his dietary recommendations seem to point to raising fat intake. Dr. Robillard doesn’t just question the idea that fat intake aggravates reflux, he even challenges the idea that fat intake slows gastric emptying. He ascribes the belief that fat is a culprit in reflux to the fact that many fatty foods are actually deep fried foods, battered in carbohydrates. Fat – where does that leave us? With some reflux authorities recommending high fat, and others recommending low fat, an LPR-sufferer is bound to be left feeling confused about what to do. A look through forums and facebook groups seems to suggest that some people benefit from both approaches, just as much as some people struggle from both. Ultimately the effect of fat on LPR may be particular to the individual because of the underlying root causes of the reflux. For instance, if the underlying cause is Small Intestine Bacterial Overgrowth (SIBO) which is Dr. Robillard’s explanation for most cases of reflux, starving the bacteria of carbohydrates and eating a high fat diet may make sense. However, if someone has an enzyme deficiency or poorly functioning liver, making it difficult to digest fat, it seems plausible that reducing fat intake could help alleviate symptoms, as it might improve the speed and quality of digestion. All of this points to the reality that dietary recommendations need to be personalised, and that different people will react differently to different foods, both in the context of overall health, and in the context of LPR. It may be prudent for long time sufferers of LPR to trial both approaches and see what works for them. My own experience with fat consumption. After reading the Fast Tract Diet book, I came to believe that carbohydrate malabsorption due to SIBO was the root cause of my problem with LPR. As a result, I decided to cut down on carbs significantly and up my fat intake. I’d read elsewhere that too much protein was potentially a problem, so high fat seemed to be the only way forward. I saw some improvement, but after some time, my symptoms seemed to worsen again. I couldn’t figure out what was going on, but as I started to look at my food intake, I realised that I had continued to up my fat till it represented about 60% of my calories. I decided to try dialling back, and reduced the amount of fat I was consuming and sure enough, my symptoms improved again. For one reason or another, I didn’t seem to be able to digest all that fat, and I would feel it an hour or two after eating. I don’t for a second think that my experience is necessarily representative, but I do think that I’ve concluded that very high fat doesn’t work well for me. That realisation, and the amount of time it took me to get there is one of the reasons I would encourage other LPR sufferers to experiment and draw their own conclusions, rather than simply following any one piece of advice they’ve found.